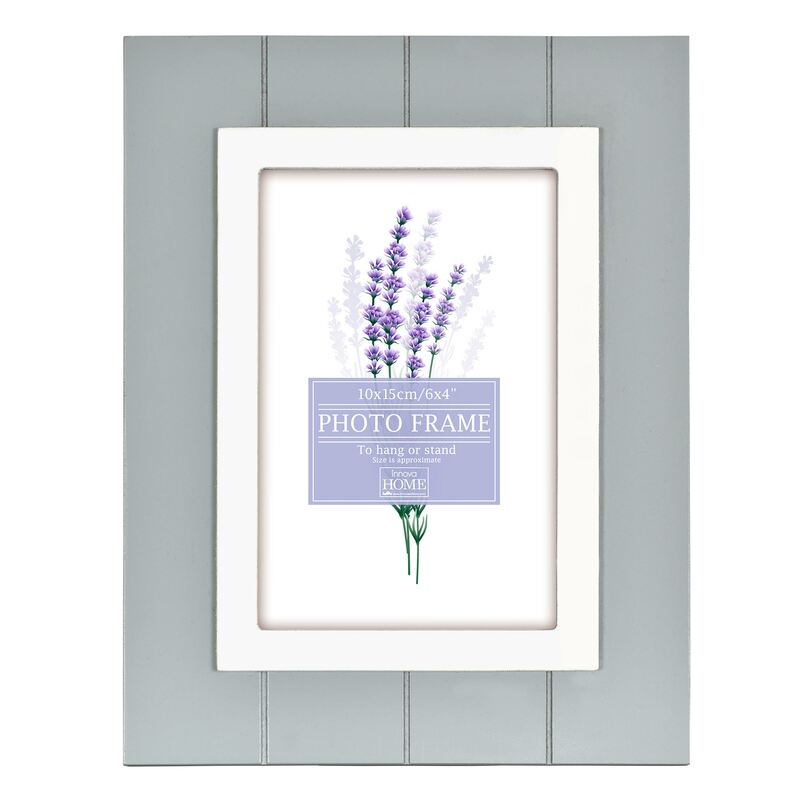 Grey painted wooden frame with panelling effect. Suitable for hanging or standing. It has a whtie framed aperture an fits a 6x4" print.